SCL Conference - Last Chance to Sign Up! Does the EF Have Too Much Pomp? 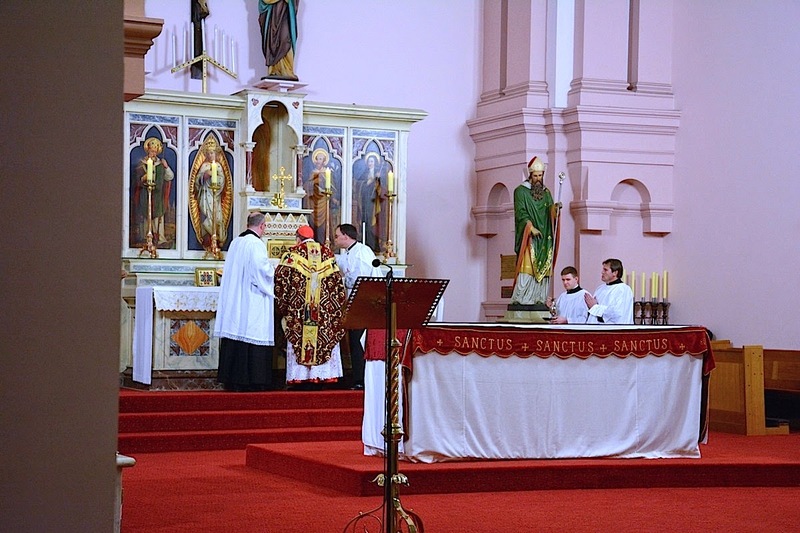 Today, I'd love to highlight something that is not a common sight for many Catholics, the EF Pontifical Low Mass. 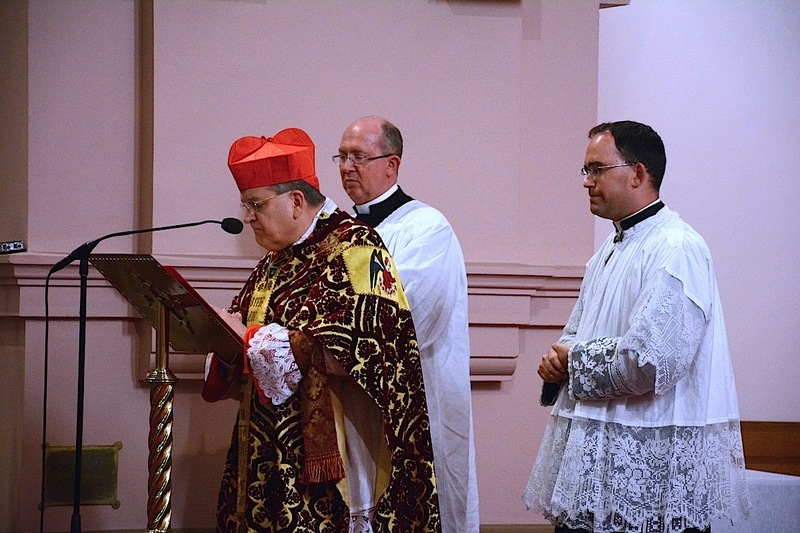 I recently found pictures on Facebook of Cardinal Burke celebrating one very recently at Sacred Heart Church, Carlton, in the Archdiocese of Melbourne. 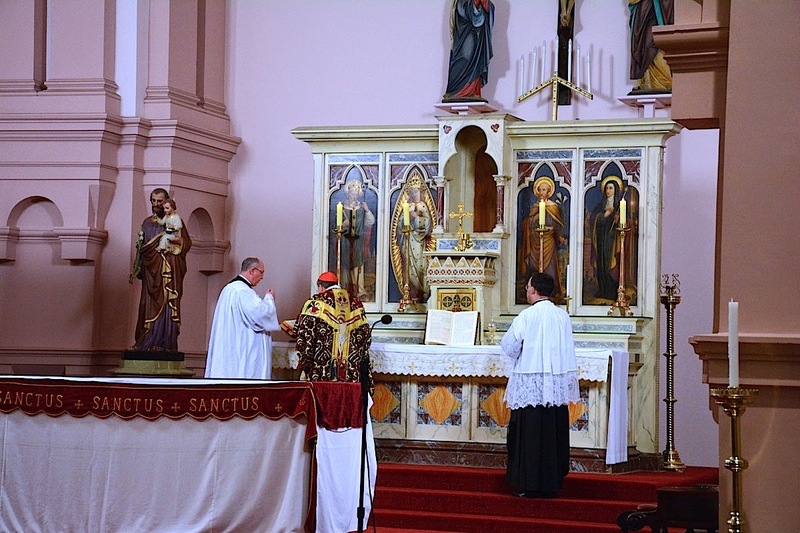 Astute readers will note that in addition to the two servers that you find at any typical low Mass, there are also two priest-attendants to the bishop that assist him, reminding us that a bishop retains the fullness of holy orders, and even when celebrating a simple Low Mass, there is additional ceremony, honoring the office of Bishop. 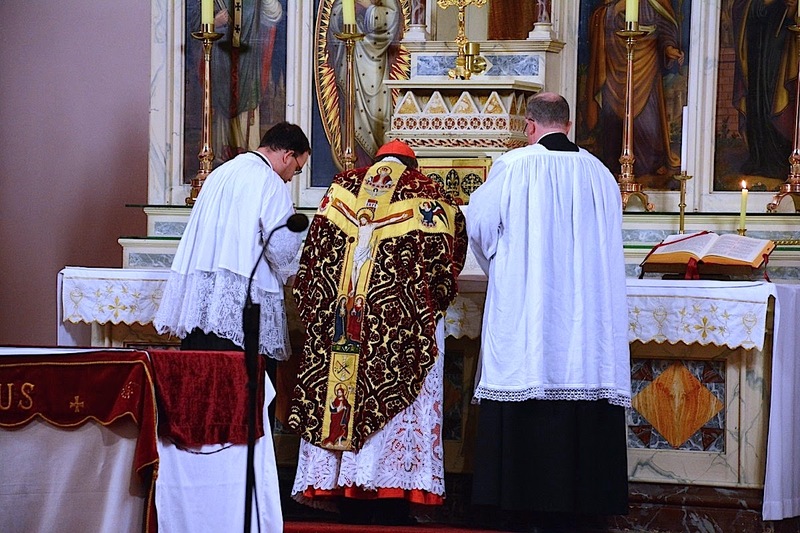 You'll also note the use of the biretta instead of the miter, as well as the dual books: the missale and pontificale, just as at a solemn pontifical Mass. 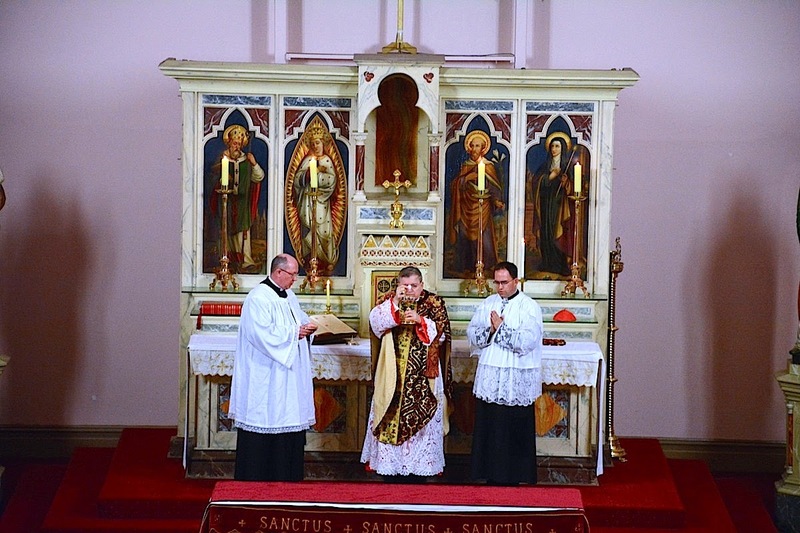 The two priest-attendants at the Low Mass were Fr Glen Tattersall and Canon Gilles Guitard. 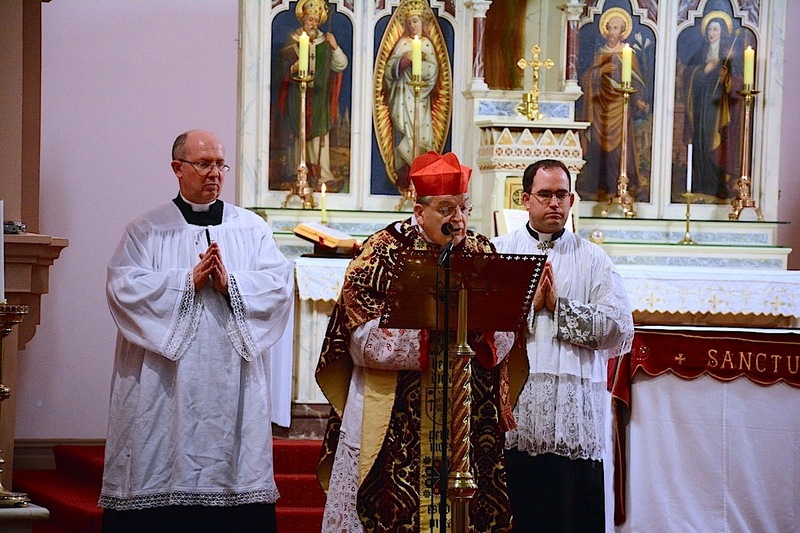 The full photo gallery can be viewed here on the website of the Parish of Bl. John Henry Newman, taken by Chris Steward. 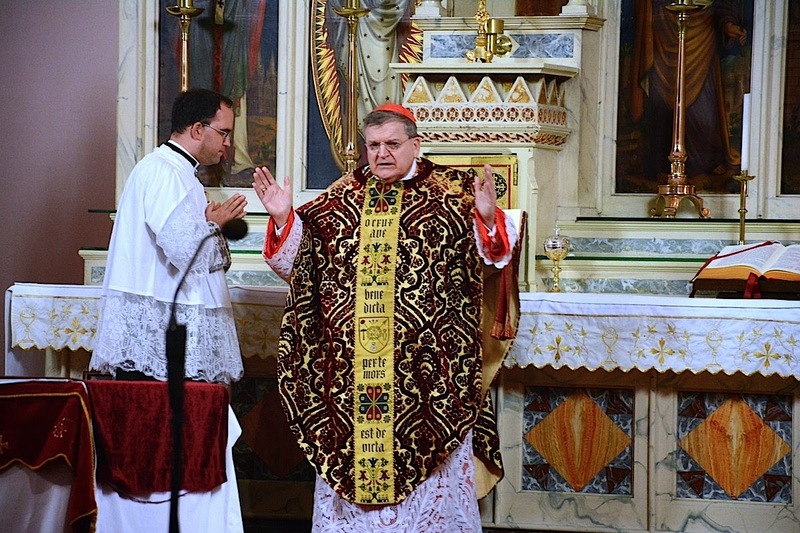 I also feel I can't finish without mentioning his chasuble. I think the design is beautiful (though possibly a bit busy), but as with anything that is less subdued, it can sometimes cause people to love the design or strongly dislike it. The first two pictures have clear views of the front and rear design. What do you think? Let us know below! 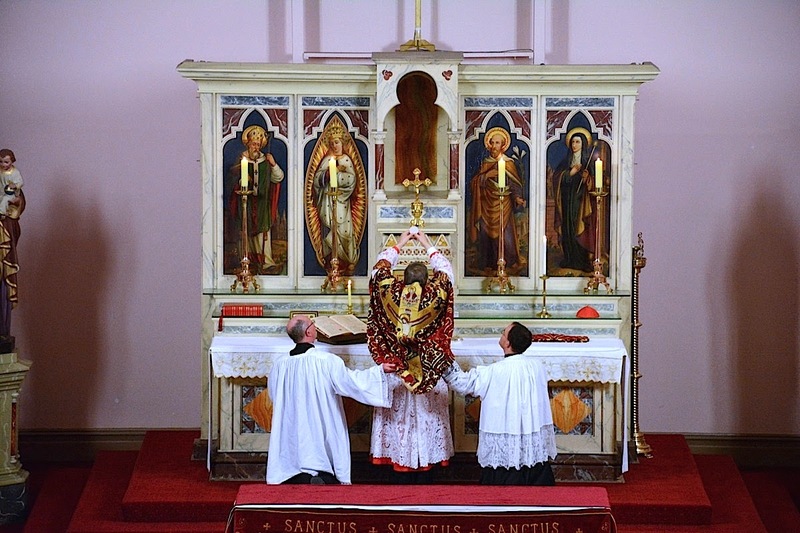 In this picture, you can clearly see the two servers in addition to the two attendants.